Get weird, get going, and get it done! It's time to explore the sign of Aquarius! You're getting a snapshot into the ever expanding astroherbology magick of the Lunar Apothecary - amazing! I will be exploring all twelve signs from a medical astrology perspective with an emphasis on herbal healing. To learn more about the series and what all the correspondences mean check out the introduction to The Introduction to Astroherbology Series. Looking for the other signs of the Zodiac? Find out about the astroherbology wisdom of Aries, Taurus, Gemini, Cancer, Leo, Virgo, Libra, Scorpio, Sagittarius, and Capricorn! Body Systems: Lower leg, calves, and ankles. Shin bone, tibia, and fibula. Achilles tendon. Teeth. Electrical impulses of the nerves. Circulatory system and elimination. Rods and cones of the retina. Oxygenation of cells. Pyramidal tract and active transport mechanism. Imbalances + Diseases: Varicose veins and hemorrhoids. Blood poisoning. Nervous disorders caused by high sensitivity. Hypersensitivity and sensory processing disorders. Asperger’s and autism. Schizophrenia. Issues of adrenaline. Accidents of the ankles and lower legs. Restless leg syndrome, aches, bruises, and pains in the legs. Water retention in the legs and ankles. Crawling sensation on the skin. Stagnant and/or poisoned blood. Electrical irregularities of the heart. Gas in the bowels. Cold sweats from overactive nervous system. Vision disorders including color blindness, peripheral and central vision disorders, and injury to the retina. Disorders of coordination and general clumsiness. Ticks, facial ticks, and involuntary spasms of the limbs. Multiple sclerosis and Parkinson’s. Neurasthenia. Alcoholism. Rheumatism and rheumatic fever. Goiter. Poisoning, especially from venomous creatures. Being disorganized and undisciplined. Rebel without a cause. Distant with individuals in a community. Emotionally disconnected with the heart of the matter. Overly eccentric and anti-social. Coming off as radical but actually deeply conservative. Using visionary powers for ill of society. Fixations and obsessions. Avoiding the present in pursuit of future visions. Embarrassed by emotion. Disease Degrees: 0 degrees: danger from reptiles; 1 degree: right tibial nerve, obesity, fatty degeneration, anger from reptiles; 2 degrees: left tibial nerve, fatty degeneration, obesity; 3 degrees: right fibula, obesity; 4 degrees: left fibula; 5 degrees: nerve of right fibula; 6 degrees: nerve of left fibula, sight; 7 degrees: right saphenous veins; 8 degrees: left saphenous veins, anemia; 9 degrees: skin of right lower leg, anemia; 10 degrees: skin of left lower leg; 11 degrees: right cruciate ligaments; 12 degrees: left cruciate ligaments, bites from venomous creatures; 13 degrees: right tibial artery, rheumatism, rheumatic fever, bites from venomous creatures; 14 degrees: left tibial artery, rheumatism, rheumatic fever; 15 degrees: lymph vessels of right lower leg; 16 degrees: lymph vessels of left lower leg; 17 degrees: spinal nervous system, Bright’s disease; 18 degrees: spinal nervous system, azimene, chronic glomerulonephritis, Bright’s disease; 19 degrees: spinal nervous system, spine, azimene, Bright’s disease; 20 degrees: spinal nervous system, alcoholism; 21 degrees: spinal nervous system, alcoholism; 22 degrees: right gastrocnemius muscle, appendicitis, alcoholism; 23 degrees: left gastrocnemius muscle, rheumatism, alcoholism; 24 degrees: right tibias anterior muscle, alcoholism; 25 degrees: left tibias anterior muscle, alcoholism; 26 degrees: right fibula, nervous debility, alcoholism, neurasthenia, poisoning; 27 degrees: left fibula, goiter, neurasthenia, poisoning, goiter; 28 degrees: right tibia, goiter, poisoning; 29 degrees: eyesight; left tibia, neuritis, neuritis; 30 degrees: nervous system connectivity, neuritis. Remedies for Imbalanced and/or Weakened Aquarius: Calming and centering activities including relaxing nervines. Blood tonics for improving circulation and oxygenation. Softening aphrodisiacs to help connect with others, especially when the love of humanity has been lost. Learning to be altruistic. Investing in individuals while nurturing the big vision. Learning to experiment while remaining kind. Transforming the erratic into the electric spark of innovation. Embracing the power of emotional maturity, not emotional denial. Ease in relationships, learning to give and take. Gifts of Aquarius: Idealism, revolution, inventiveness, originality, unorthodoxy, vision, eccentricity, philanthropy, universal reformation, and intuition. Rituals of Aquarius: Rituals for social change, being prepared for the unexpected, charms to inspire innovation, open-to-the-public gatherings, and poetry readings. Aquarius Guardian Herbs: Lavender (Lavandula officinalis), Kava Kava (Piper methysticum), Peppermint (Mentha piperita), Cacao (Theobroma cacao), Myrrh (Commiphora myrrha), Comfrey (Symphytum officinale), Vervain (Verbena officinalis), Witch Hazel (Hamamelis virginiana), Water Violet (Hottonia palustris), Jasmine (Jasminum spp. ), Rosemary (Rosmarinus officinalis). Aquarius Remedy Herbs: Catnip (Nepeta cataria), Linden (Tilia europa), Wood Betony (Stachys officinalis), Burdock (Arctium lappa), Milky Oat (Avena sativa), Lavender (Lavandula officinalis), Vervain (Verbena officinalis), Passionflower (Passiflora incarnata), Skullcap (Scutellaria lateriflora), Valerian (Valeriana officinalis), Dandelion (Taraxacum officinale), Fennel (Foeniculum vulgare), Motherwort (Leonurus cardiaca), Nettles (Urtica dioica), Horse Chestnut (Aesculus hippocastanum), Witch Hazel (Hamamelis virginiana), Lemon Balm (Melissa officinalis), Willow (Salix alba). Flower + Gem Essences: Vine (Vitis vinifera), Linden (Tilia spp. ), Tall Yellow Top (Senecio magnificus), Lemon Verbena (Aloysia citriodora), Lemon Balm (Melissa officinalis), Yarrow (Achillea millefolium), Clear Quartz, Lapis Lazuli, Garnet, Amber, Angelite. The infamous nonconformists of the zodiac, Aquarians take great pride in their personal freedom and eccentricity. They have abundant levels of creative and visionary energy which they often direct towards bettering society. The Water-bearers love innovation, experimentation, and practices that shake up the dominant paradigm. Aquarius folk can be driven by a persistent need to make the world “right” and seek out justice wherever it might be - they are definitely oriented towards the position of leader (even within collective and consensus-based communities) and want to be in charge of making change happen. Get weird, get going, and get it done!, our Aquarius folk chant in the street. Aquarius folk can get into conflict fairly easily if they don’t ease up on their need to be in charge and their ability to make others feel small around them. It is important for them to learn how to value the insights and opinions of others even if it doesn’t always align with their own. The sign can be very dogmatic and have an inner desire for structure and convention that their outward expressions of eccentricity often masks. Remember, their traditional Guardian Planet is Scorpio the rule-maker and tradition-keeper. Learning to be at peace with their need for structure and eccentricity is important. Sometimes Aquarius folks can be rebels without a cause or so invested in their unique individuality that they lose their ability to deeply love and connect with others. Accountability is a key concept for Aquarius folks to learn as well as cooperation so that they can be a leading part in the revolution they dream of. Within a medical astrology, Aquarius folks can have intermittent levels of vitality with their energy turning on or off in a flash. The sign guards the electrical energy of the body and can be extra sensitive to electromagnetic fields and outside sources of stimulation in general - so be mindful of exposure levels whether from power lines, computers, phones, other devices outputting EMF, and sensory overloading environments. They have to be particularly mindful of nourishing their nervous system on a daily basis in combination with heart healthy tonics as their electrical fluctuations can detrimentally affect both. Aquarius folks can become accident prone when they are not paying attention to the needs of their nervous system. Again, learning to focus on cooperation (both in relationships and in the internal processing of their body) can lead to sustainable patterns of coordination. Aquarius is also a fixed air sign which means that they can suffer from the complaints of trapped wind or gas in the digestive tract as well as blowing smoke in order to impress others. When Aquarius folks nurture their inner world instead of always focusing on the outer impact of their goal to change the world, they are able to grow their gifts of visionary insight, creating a truly inclusive movement that revolutionizes the way that we connect as humyns. Lavender brings peace and compassion, which is what many Aquarius folks are striving for in their vision for bettering the world. There herb helps to calm without creating drowsiness but instead cultivating focus helping Aquarius folks to refine their plans. The herb relieves tension including the headaches and indigestion that can arise from such a state. Lavender is my foundational herb for my emotional bitters blend as it helps us to digest all of our emotions, but especially difficult ones that have a tendency to get trapped in the body. Lavender can help to soften the jolts of energy that run through Aquarius folks while enhancing their energetic output, clearing out lethargy and laziness. The color of the herbs, a beautiful purple, implies through the doctrine of signatures, its connection to vision of a psychic variety and as an herb thats scent carries readily on the wind, it supports the air-driven energies of Aquarius folk who are trying to share their vision with the world. The herb is a great ally for asthma attacks brought about by tension. Use also for coughs and colds that are aggravated by excess stagnation in the chest, as Lavender helps to clear out congestion. 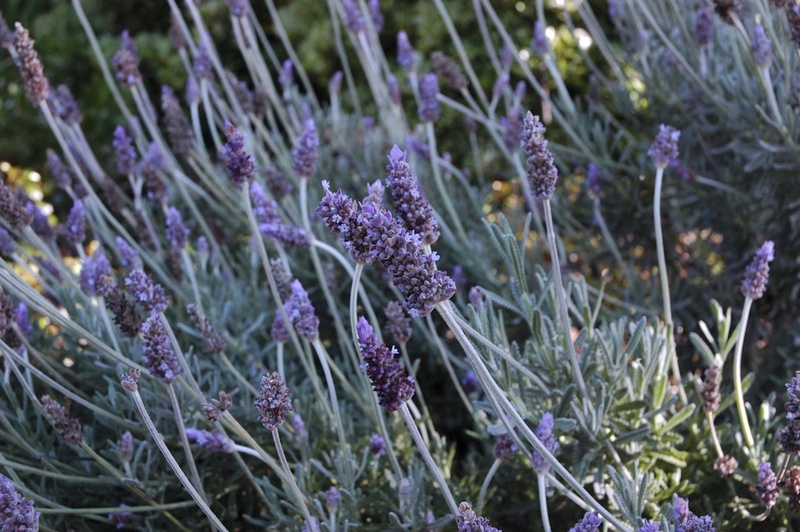 Topically, Lavender has many uses for alleviating the pain of sore muscles, arthritic pain, and bruises to reducing varicose veins, eczema, and acne. It is one of my favorite herbs to add to baths creating a tension-relieving brew that is calming for cranky humyns of all ages. Use in chest rubs for colds and coughs as well as in mouthwash for mouth ulcers and inflamed gums. The essential oil is an excellent ally for relieving the itch of insect bites. White Willow is the original aspirin which can be used by Aquarian folks who are prone to accidents. Containing salicin, which relieves fever and inflammation as well as reduce pain, White Willow has many of the benefits of aspirin – and more! – without the side affects that the tiny white pill carries. A cooling herb, White Willow clears heat from the inflammation of rheumatism and rheumatic fever to hot flashes and headaches brought on or irritated by heat. White Willow is an excellent herb for pain reduction and improved mobility, helping in the cases of backache, migraines, and general soreness. Combined with herbs like St. Joan’s Wort (Hypericum perforatum) it can be used in cases of nerve pain and damage. White Willow moves infection out of the body, staunches internal bleedings, and can be used for hot flashes, night sweats, and general states of overheating. As an astringent, White Willow is also useful for hemorrhoids and varicosities that can occur when Aquarius folks find themselves in a state of poor circulation and the resulting stagnation lack of flow can bring about. Topically, White Willow is prized as a pain reliever whether in the form of a poultice, liniment, oil or salve. White Willow is also used for bruises, sprains, warts, skin tags, poison ivy, and burns. The herb can also be used in mouthwashes to relieve gum inflammation and in hair rinses for dandruff. Magickally, White Willow is associated with death and new beginnings which very much aligns with the Aquarian vision of revolutionary evolution through the death of the old and the birth of the new. Witch Hazel (Hamamelis virginiana) Flower Essence connects Aquarius folk with their inner landscape, grounding them in reality without smothering their Aquarian visions. The Flower Essence is appropriate for Aquarius folk who have gone too long without really connected to and expressing themselves as the essence helps them to navigate the anxiety and depression that may have emerged as consequence. If they have gotten caught up in the cycle of not feeling like they have “achieved” enough, especially when in comparison with others, Witch Hazel helps them to evaluate their lives from a place of self-confident centeredness, rather than the vicious cycle of constantly comparing ourselves to others. Witch Hazel brings Aquarius folk back into the balance of relationships that reflect, not judge, and teaches them the power of their oddness and the beauty of how they dream of light in the dark of winter. Get access to the Aquarius Tamer and Aquarius Power! blends, Aquarius inspired rituals and charms, as well as a full astroherbology profile on Aquarius' Guardian Planets of Saturn + Uranus plus a whole lot more! We respect your privacy and will not share your information with anyone including Aquarian revolutionaries with large jugs of water. Thank you for signing up to Magick Mail! Once you've confirmed your subscription you'll get access to our super secret member's only area of the site!